Mindfulness in Education is a recent and developing movement in the UK. It’s focus has been on taking mindfulness programmes into secondary schools, where it has been shown to help in managing exam stress. The Dharma Primary School already has years of experience in integrating mindfulness and education, during the primary phase, and crucially, for very young children. 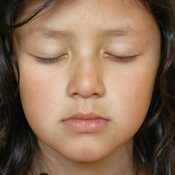 Scientific research shows that mindfulness practice may be of particular benefit to children during their primary school years when the brain’s limbic system (that controls emotion and behaviour) is still developing. Core life skills, emotional literacy and personality traits formed during this crucial period help determine how we will function as adults. In our school setting, all staff members have a commitment to the practice of mindfulness. We feel it is important that we correctly model what we teach. 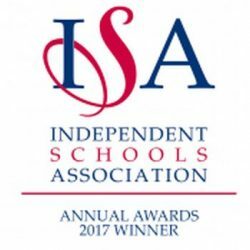 We have a thriving community of parents who share our ethos and values, and this development of a like-minded community has hugely supportive benefits for children. There is no stipulation that our parents or staff term themselves ‘Buddhist’, but the core of our ethos is Buddhist-based. Some secondary school teachers who have taught our former pupils have noted their confidence and focus as they developed into young adults. Mindfulness practice can help buffer children against our culture of instant gratification and teaches patience, resourcefulness, self-awareness and kindness. Children are then equipped to be successful, not just academically but as rounded human beings, more able to reach their potential and lead fulfilling and happy lives. Further information about current research and the science of mindfulness can be found in our Links & Resources section. In daily meditation the older children are given a range of opportunities to reflect on and discuss experiences that have affected their inner world. Such meditations may involve situations in which they did not get what they wanted, or were given what they did not want, and experiences of separation from special people or pets. Such meditations may involve situations in which they did not get what they wanted, or were given what they did not want, and experiences of separation from special people or pets. Children reflect on the experience and talk about it afterwards often expressing some relief or understanding. This requires receptive and non-judgemental listening by the teacher and is frequently experienced as positive and meaningful by children, teachers and observers.